This post is intended for F# developers, first of all, to show the big picture of The World of F# Type Providers. Here you can find the list of articles/posts about building type providers, list of existing type providers, which probably wait your help and list of open opportunities. Update 1: Build-in Tsunami type providers were added. Update 2: SqlCommand and Azure were added. Update (3 February 2014): PowerShell Type Provider merged into FSharp.Management. I am happy to share with you the first version of PowerShell Type Provider. Last days were really hot, but finally the initial version was published. Lots of different emotions visited me during the work =). Actually, Type Provider API is much harder than I thought. After reading books, it looked easier than it turned out in reality. Type Providers runtime is crafty. To start you need to download source code and build it – no NuGet package for now. I want to get a portion of feedback and after that publish to the NuGet more consistent version. Also you need to know that it is developed using PowerShell 3.0 runtime and .NET 4.0/4.5. This means that you can use only PowerShell 3.0 snap-ins. As you see in the sample, PowerShellTypeProvider has a single mandatory static parameter PSSnapIns that contains semicolon-separated list of snap-ins that you want to import into PowerShell. If you want to use only default ones, leave the string empty. You can find list of snap-ins registered on your machine using Get-PSSnapin method. Enjoy it. I will be happy to hear feadback (as well as comments about type provider source code from TP gurus). The strange thing happens, Rattle is an awesome tool but it is not so well known for devs as it should be. We definitely need to fix this. 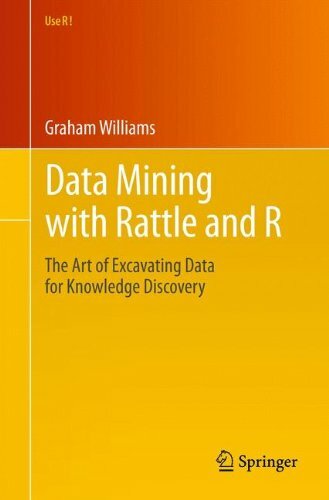 Rattle (the R Analytical Tool To Learn Easily) presents statistical and visual summaries of data, transforms data into forms that can be readily modelled, builds both unsupervised and supervised models from the data, presents the performance of models graphically, and scores new datasets. Here, you need to check that you have RProvider installed. 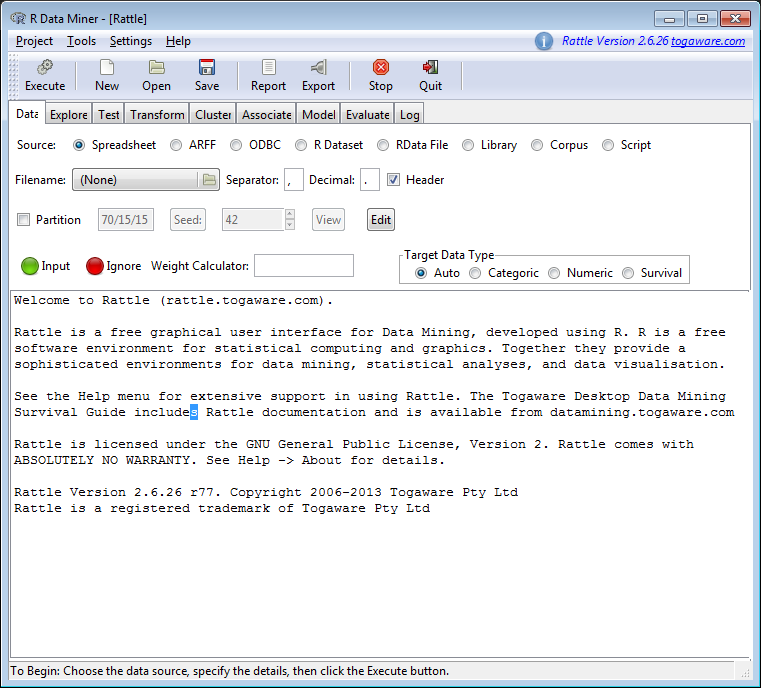 Execute this short snippet and you should see Rattle start screen similar to the following: You are ready to study your data without a single line of code. Upd: If you are interested in it, then I can recommend the following book. 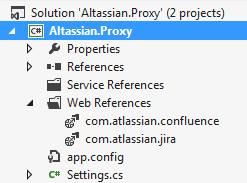 Nowadays, Atlassian products become more and more popular. Different companies and teams start using Jira and Confluence for project management. It would be good to have an ability to communicate with these services from .NET. As you probably know, Jira and Confluence are pure Java applications. Both applications provide SOAP and REST services. REST is a new target for Atlassian, they focused on it and do not touch SOAP anymore. So SOAP services live with all their bugs inside and even deprecated in JIRA 6.0. It is a bit strange for me. I can understand REST benefits, but it is step backward for developers’ convenience. Each programming language should maintain a client library. Any change in REST API can break all client tools. REST produces a lot of headache for service users. IMHO, REST should be done in OData manner to simplify life for API users. But it is out of topic a bit. I have tried to use Jira and Confluence web services some time ago, it was harder and more limited then existing SOAP ones. I have not checked the latest ones, you can try if you wish: Confluence REST API documentation and JIRA REST API Tutorials. As I know, there is no mature client libraries for .NET. 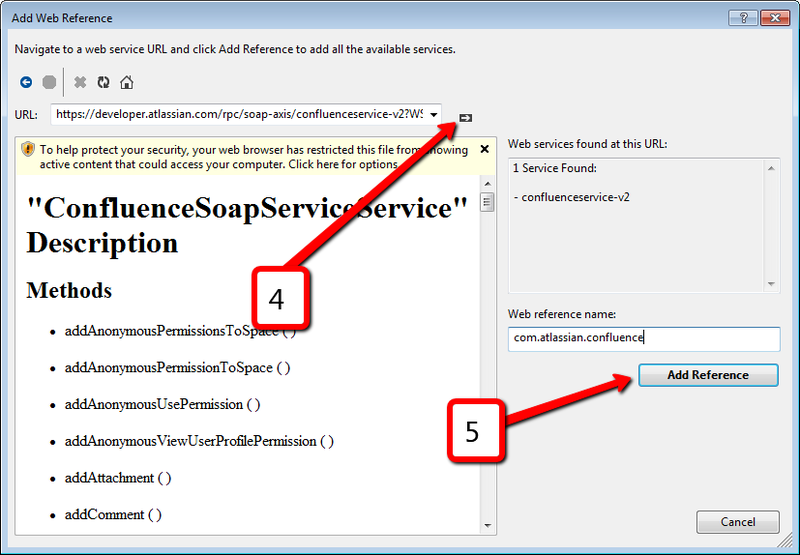 I have already tried to get to work F# WSDL Type Provider and Confluence SOAP service. But it does not work, because a Confluence SOAP endpoint is not compatible with WCF. 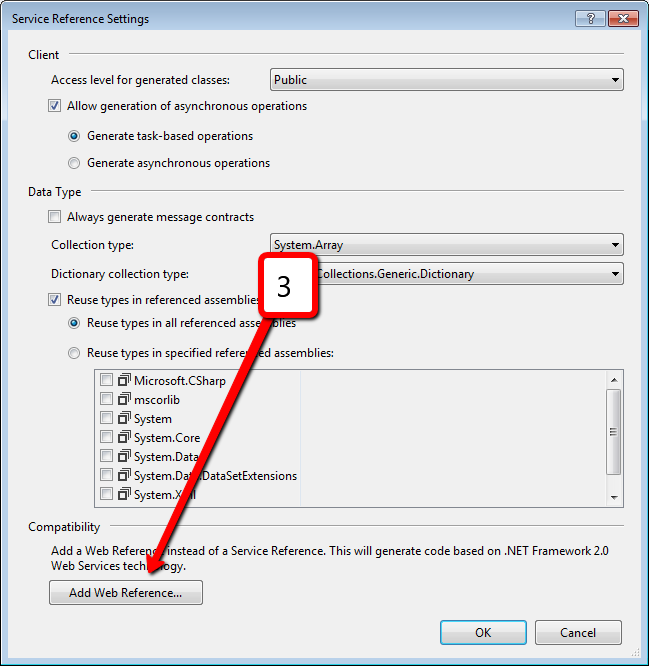 There is a known bug “Creating Service Reference from JIRA WSDL in Visual Studio 2010 generates all methods void“, that would not be fixed. 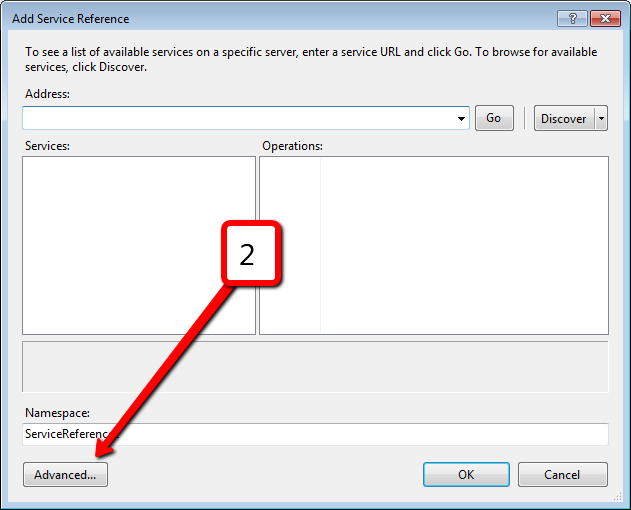 Click on ‘Add Service Reference’. Click on ‘Add Web Reference’ button. Click on ‘Add reference’ button. That is all you need to start working with Jira and Confluence. As a result, you should see two web references in your project. 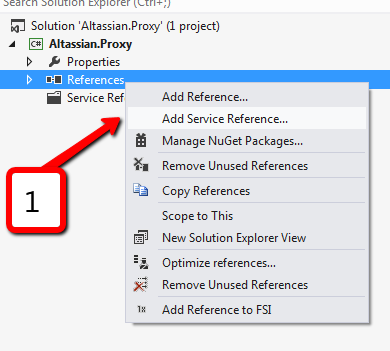 The easiest way to do it from F# is to build proxy library in C# and reference it from F#. I have already done it and if you wish you can download it from GitHub. There is one issue in such solution – function’s parameters named in not readable way like arg0, arg1 and so on. To understand what actually you should pass to the service you need to check actual parameter names in documentation: JiraSoapService and ConfluenceSoapService. About a year ago XAML type provider (that now a part of fsharpx project) was born. First of all, happy birthday XAML type provider and thank you everyone who was involved. Up to XAML type provider release the best option for F# WPF development was to split app into two parts: C# project with all XAML stuff for best tooling support and F# project with all source code. Daniel Mohl have created a project template “F# and C# Win App (WPF, MVVM)” that illustrates this approach end to end (read more about this in his blog). XAML type provider is an amazing thing that makes available full-featured WPF development completely in F#. Steffen Forkmann has an excellent blog post about its usage “WPF Designer for F#“. It is probably one of my favorite posts about F# at all, it shows a real beauty and excellence of the technology. This approach was already templated by Daniel Mohl – “F# Empty Windows App (WPF)“. I think that a natural desire is to have an F# MVVM app using XAML type provider. It can be done by combining these two templates. At the first step, create a new project from “F# Empty Windows App (WPF)” template, and leave App.fs file without any changes. Now we need to define a ViewModel for MainWindow. I have reused BaseViewModel and RelayCommand from polyglot approach template. let mutable name = "Noname"
The last and probably most tricky part is a XAML. Pay attention to the row number four (local namespace definition). You need to specify assembly part even if your view model located in the same assembly as XAML. It happens because type provider works in another one.